Autumn is now in full swing and all things pumpkin are now officially allowed  so lets not dilly dally. 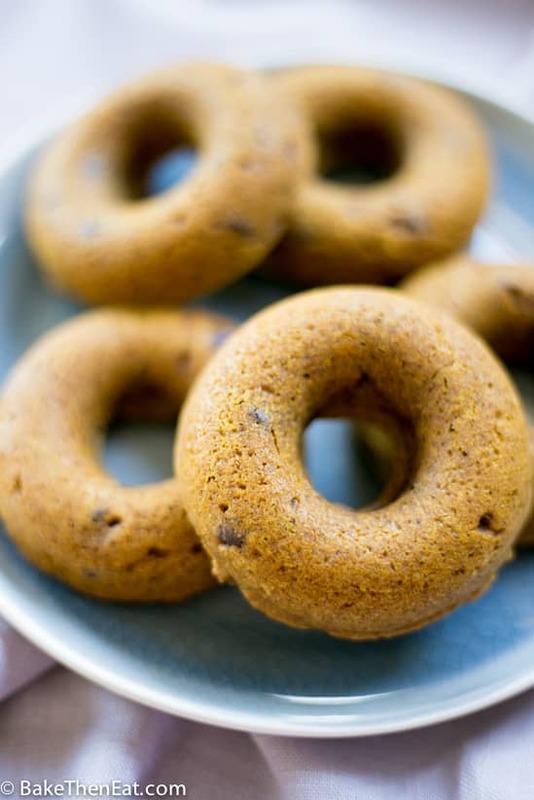 And let me share these Vegan Sugar Free Chocolate Chip Pumpkin Donuts with you. 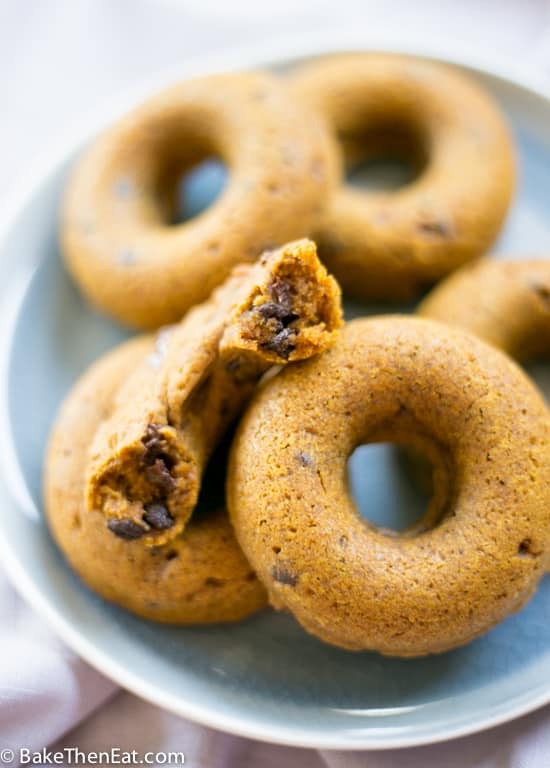 Baked cake style donut’s packed full of sweet spices, pumpkin and chocolate chips. As I have mentioned many times before I am not vegan but I am strictly vegetarian. When possible I like to make my bakes vegan. It’s not always possible, but I try when I can so as many people as possible can enjoy my treats. 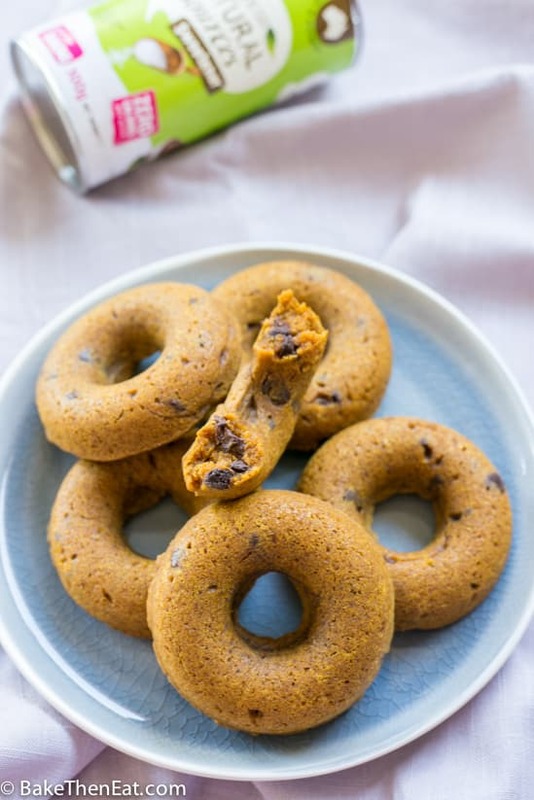 These vegan sugar free chocolate chip pumpkin donuts were so easy to keep vegan. The only fat I used was a light vegetable oil, there was no need for butter or cream. The chocolate chips are dark chocolate so there is no dairy in them. Please keep this in mind if you are making these for a vegan friend. Not all chocolate is vegan-friendly. To shave off a few calories, so there would be less guilt when shovelling multiple donuts into my mouth, I used a 0 calorie sweetener. Natvia Natural Sweetener is my sweetener of choice, its 100% natural and did I mention 0 calories? You can replace with any sweetener of your choice, and if you are not worried about a few extra calories then just use sugar. 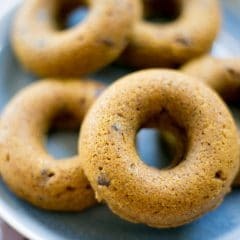 If sugar is not an issue for you, then I have a lovely recipe for Vegan Cinnamon Sugar Pumpkin Donuts, that you may like to try. One thing I really like about making cake style donuts, is they are generally made in small batches. So temptation can only last for a few days! But you can easily double or triple this recipe for a larger batch. So happy October everyone and let’s enjoy all the lovely pumpkin goodness that is going around. Baked cake style donut's packed full of sweet spices, pumpkin and chocolate chips. Lightly grease a 6 hole donut pan with vegan-friendly oil/spread and place to one side. In a medium-sized bowl add in the almond milk, molasses, vegetable oil and pumpkin purée. Mix everything until very well combined. Mix in the Natvia natural sweetener. Add in the flour, baking powder and spices and whisk everything gently together. Spoon the mixture into your donut pan and pop it in your hot oven and bake for 15-17 minutes. Once baked through, take the pan out of the oven and allow them to cool for 5 minutes before transferring them to a wire rack to fully cool down. Kept in an airtight tin, these donuts should last for 5 days. If you want to freeze them place them in the freezer and eat within 2 months. * I used unsweetened Almond Milk but any Vegan milk will work in this recipe. *I used 0 Calorie Natvia Natural Sweetener but any 0 calorie sweetener can be used. If you want you can replace it with sugar. Pumpkin + chocolate are SO GOOD together! These donuts sound delightful for fall! So glad we are officially in pumpkin season – they look absolutely delicious and would work so perfectly with my cup of tea right now 🙂 Have a wonderful weekend ahead, Emma! Thanks, Miriam 😀 hope you have a great weekend. These look terrific — really full of flavor. 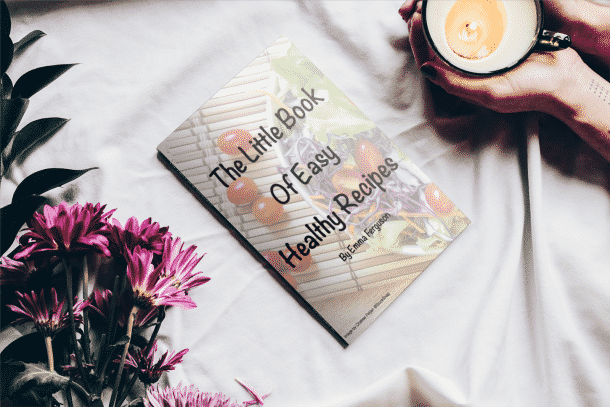 And although we’re not vegan (or vegetarian), we have friends who are — so always looking for recipes we can serve to them. Thanks! Yeah Emma! 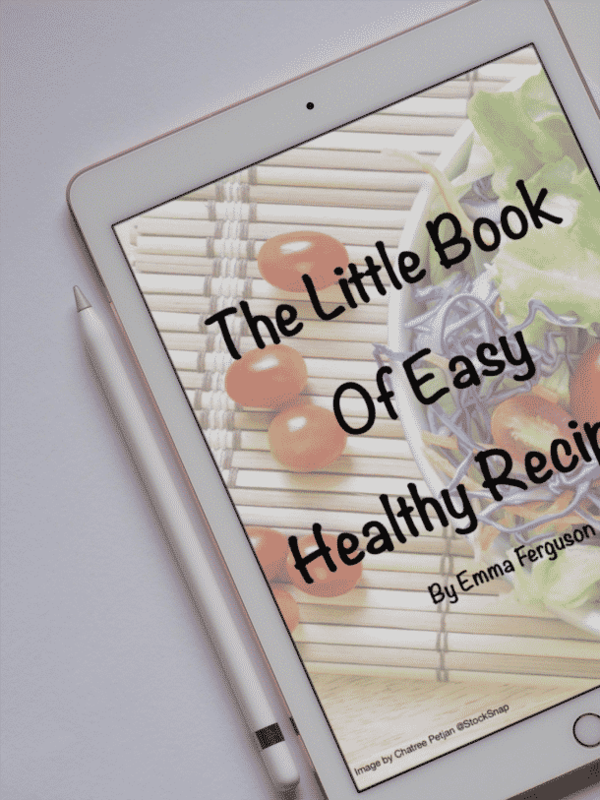 A recipe video. Great job. You make this recipe look super simple and totally delicious. Love pumpkin and chocolate together. Would quite like one for each hand! Wow – lots of great flavors in here donuts! Emma, these look mouth watering! Would love about 3 for sure. 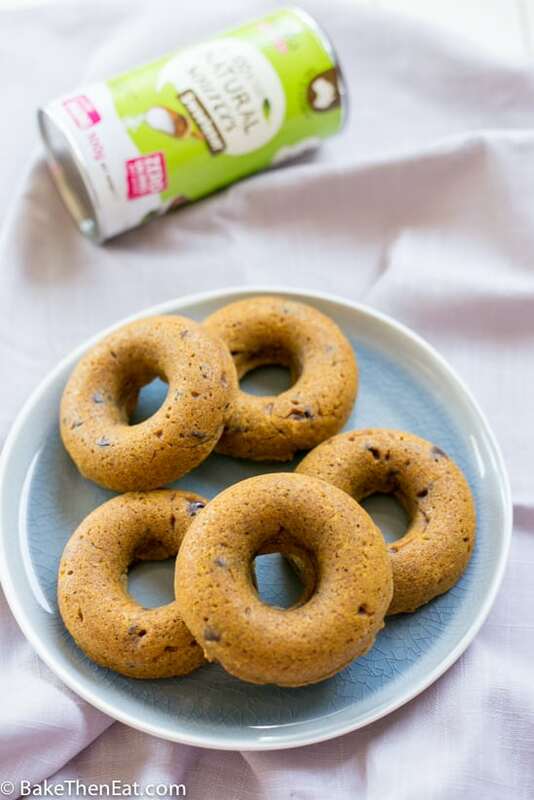 These baked donuts look absolutely adorable and delicious with chocolate chips, Emma. Love all the pumpkin treats that are around during this season, especially when they include chocolate! I’ve been meaning to buy a donut pan for years…I’m thinking this is the year I need to finally get one! This would be the perfect recipe to break it in. Thanks, Brianna. I don’t use my donut pan often but I am still glad I bought one. They are perfect for making a small batch of treats.